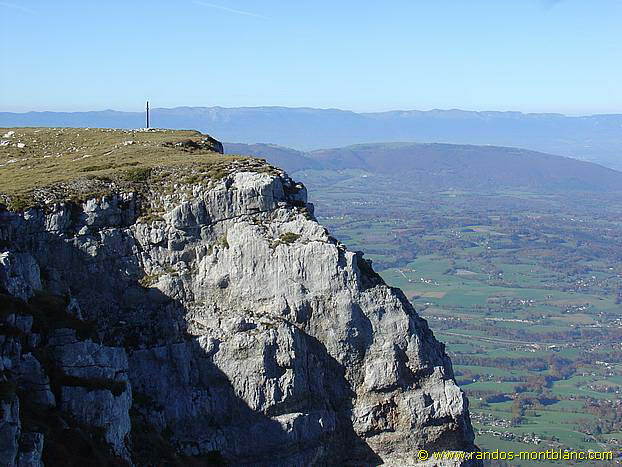 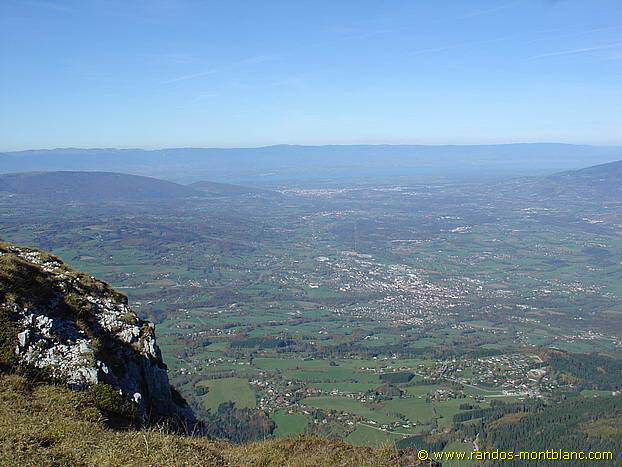 Recognizable by its steep cliffs on its north face, the Montagne de Sous-Dine constitutes a pleasant hike in the heart of the Bornes Massif. 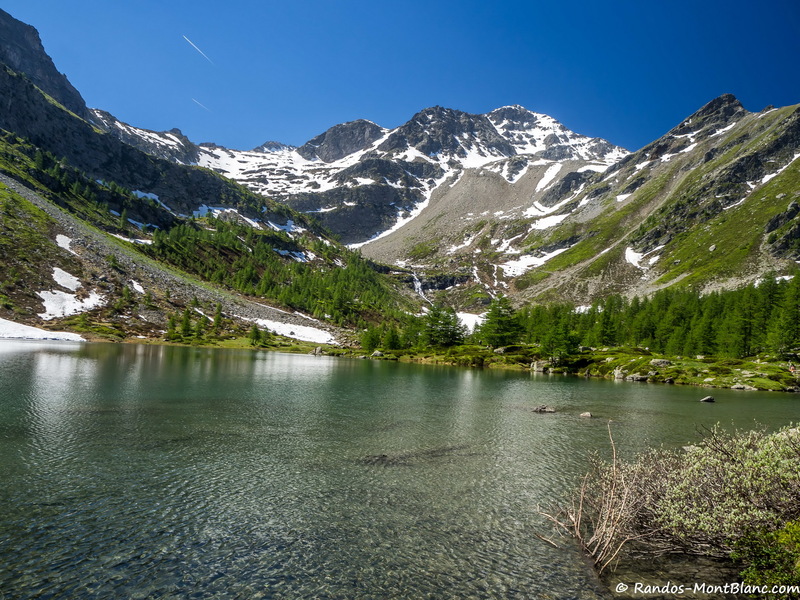 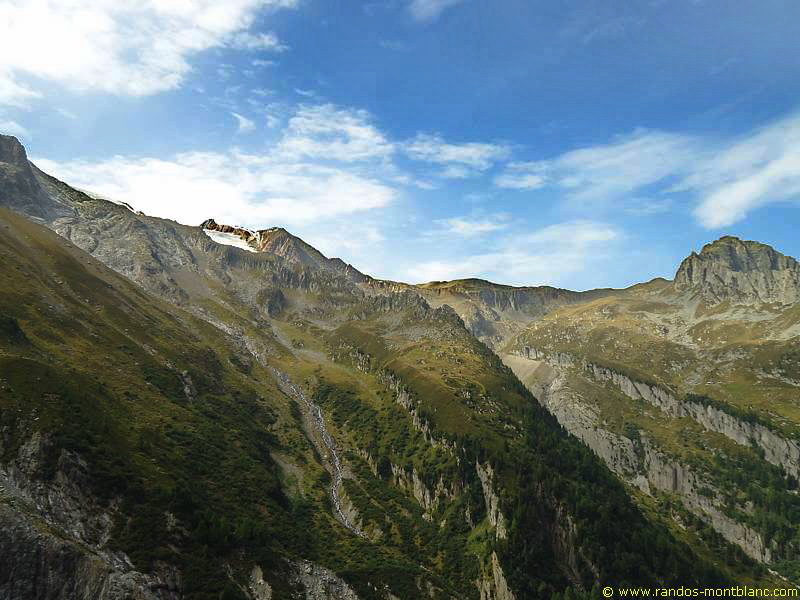 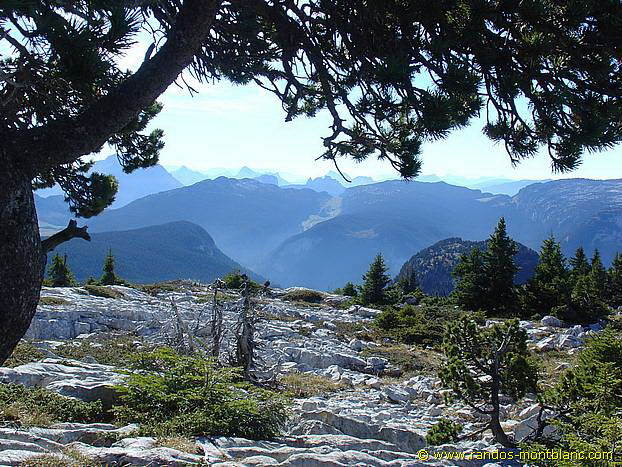 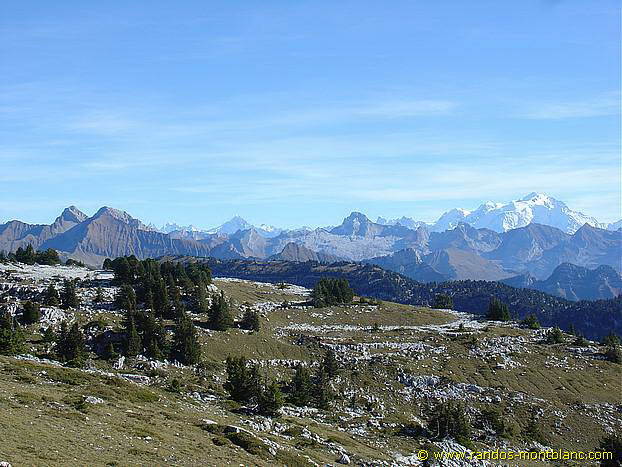 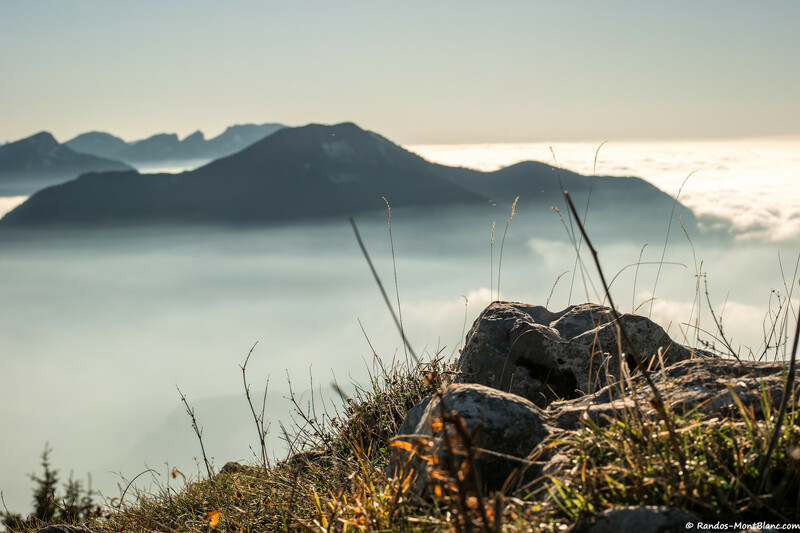 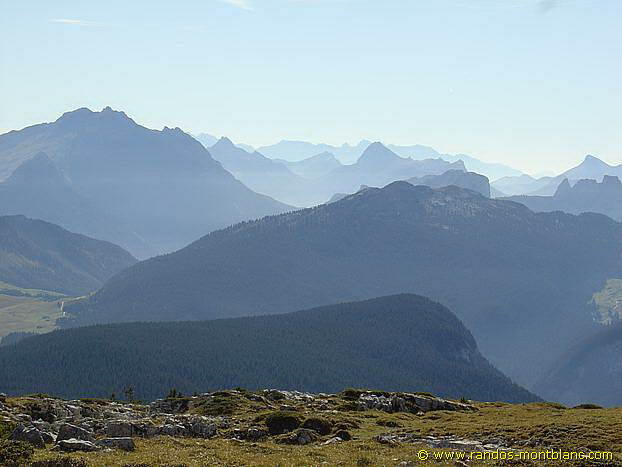 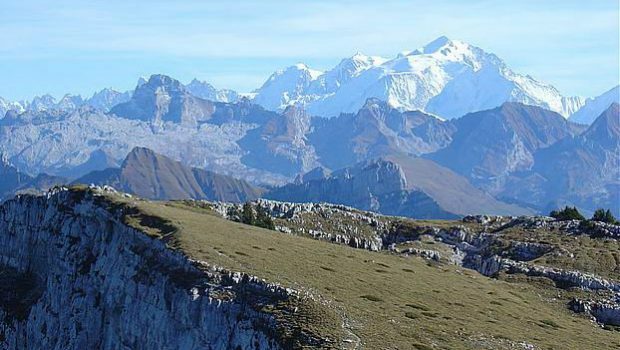 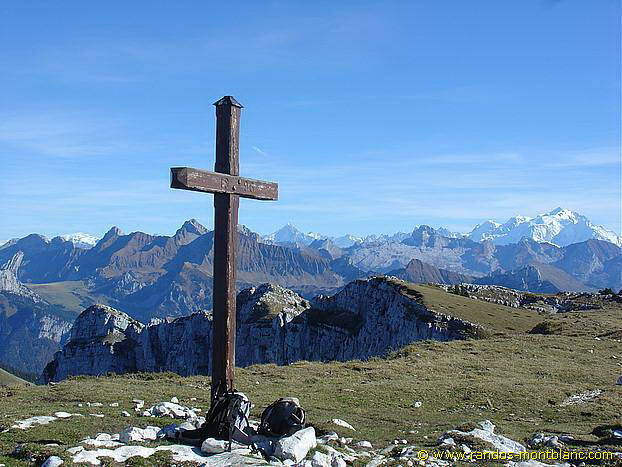 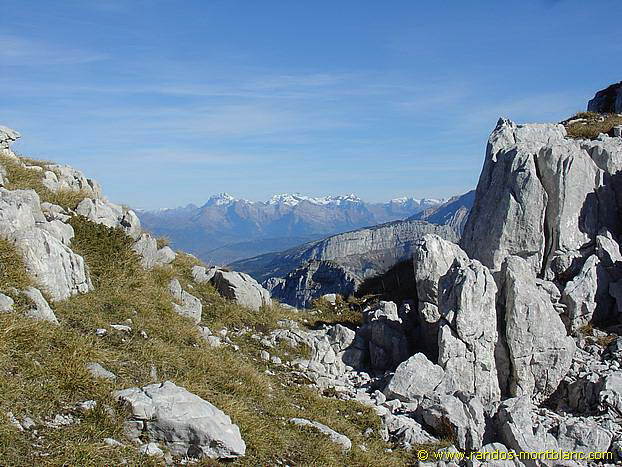 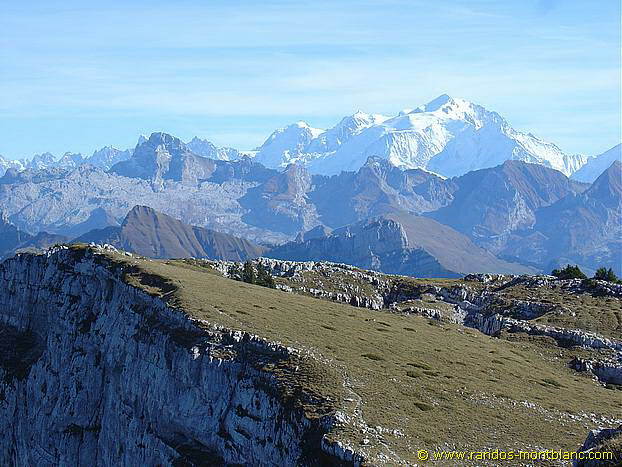 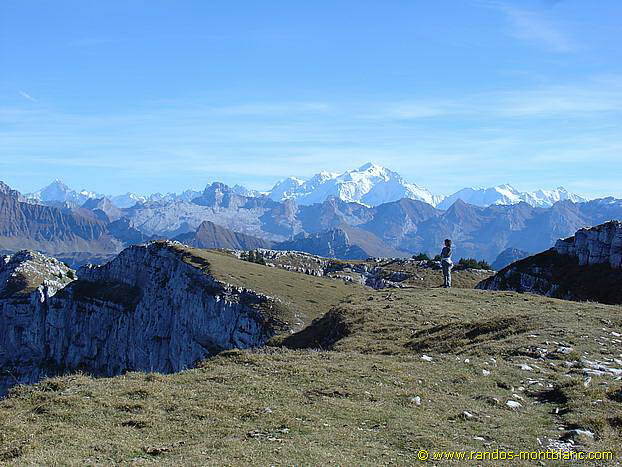 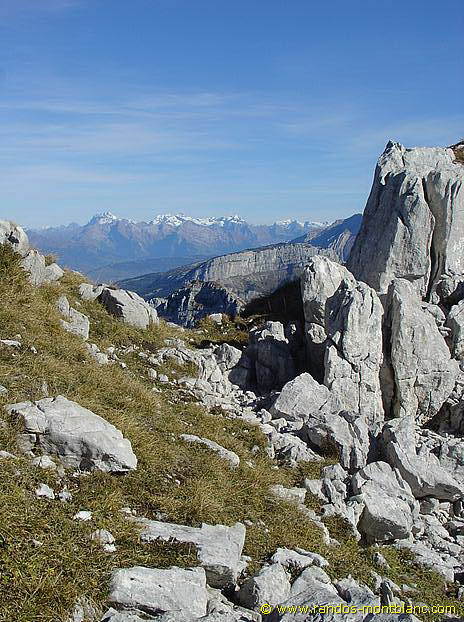 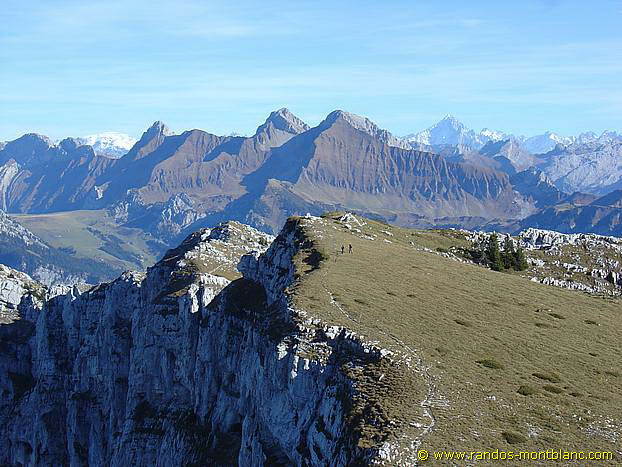 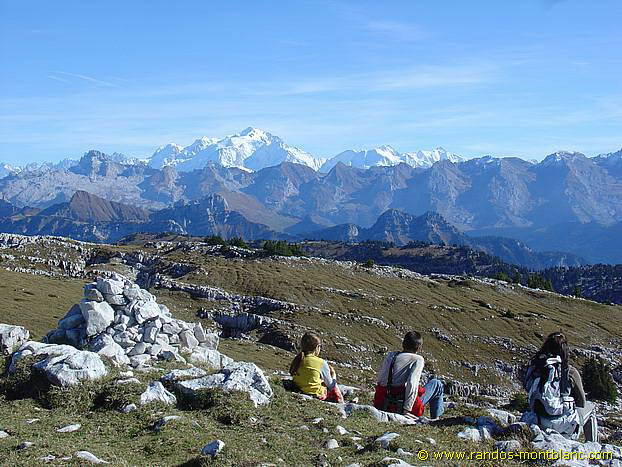 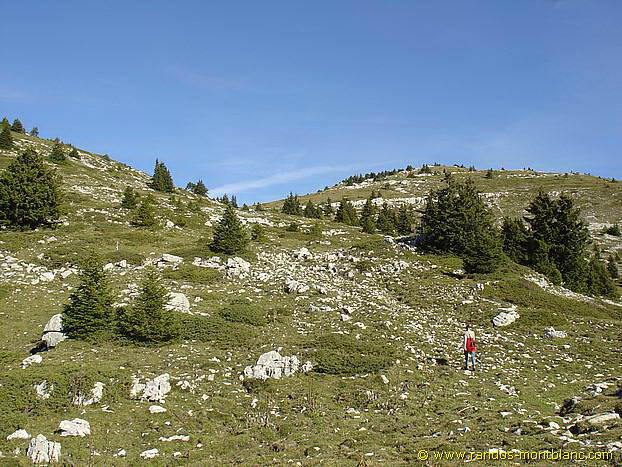 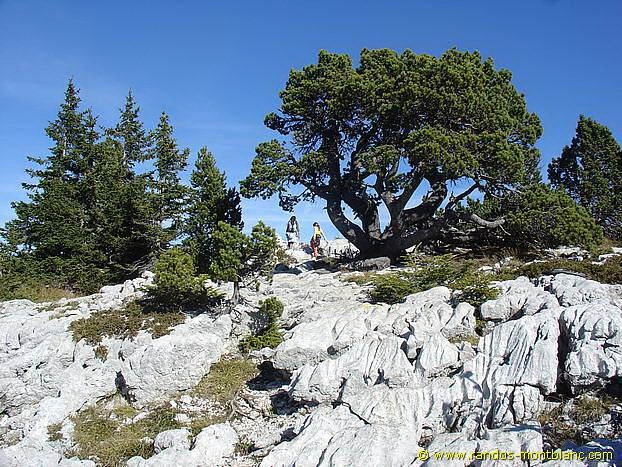 The ascent begins in the forest, continues through the lapiaz, and ends in a vast grassy plateau which, because of its ideal location, offers an extensive panorama on many summits such as the Alps of Savoie and Haute-Savoie, the Jura Massif, and the Swiss peaks. 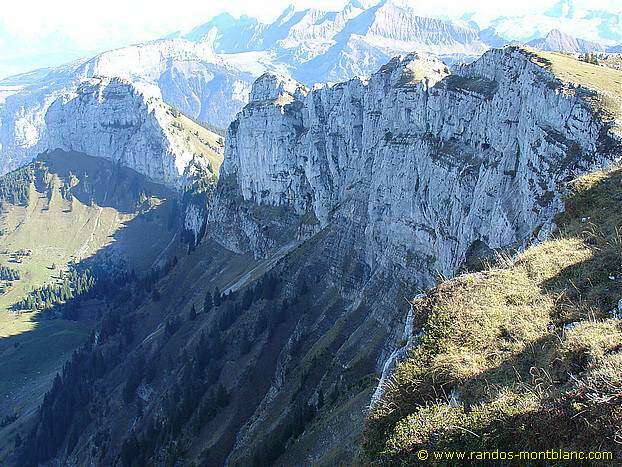 There’s no technical difficulty; You just have to pay attention to children when approaching the cliffs. 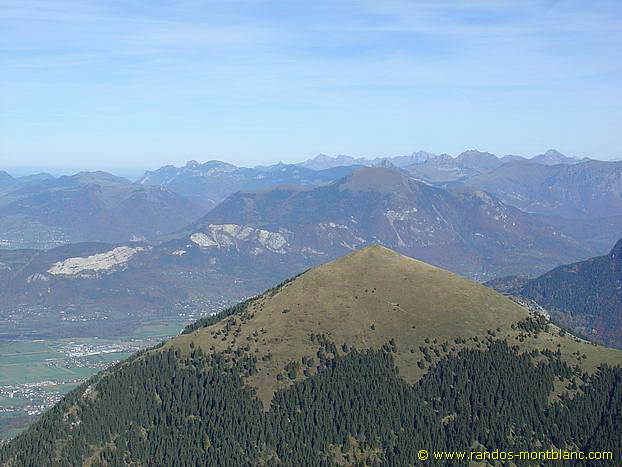 From La Roche sur Foron, take the direction of Thorens-Glières (D2 road). 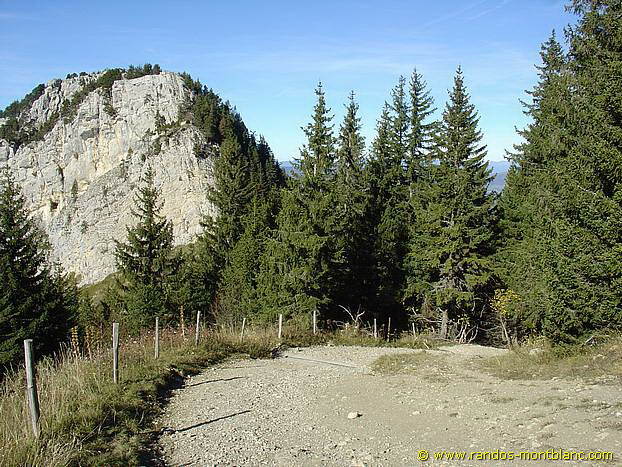 Go to the Col des Fleuries, and turn left towards Mont-Piton (C16 road). 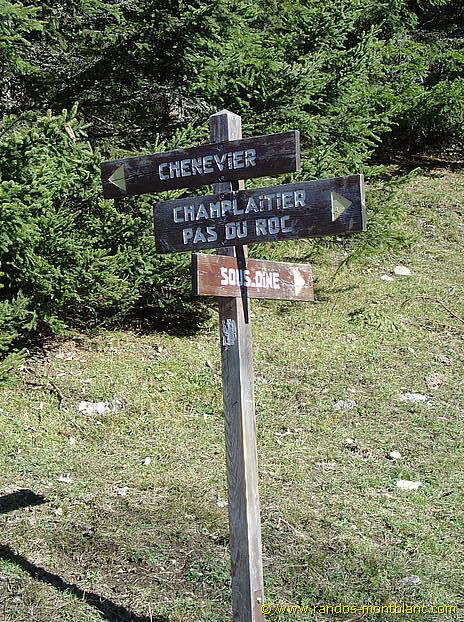 After about 2 km, turn right towards the Chenevriers, and park in the small parking lot that marks the end of the road. 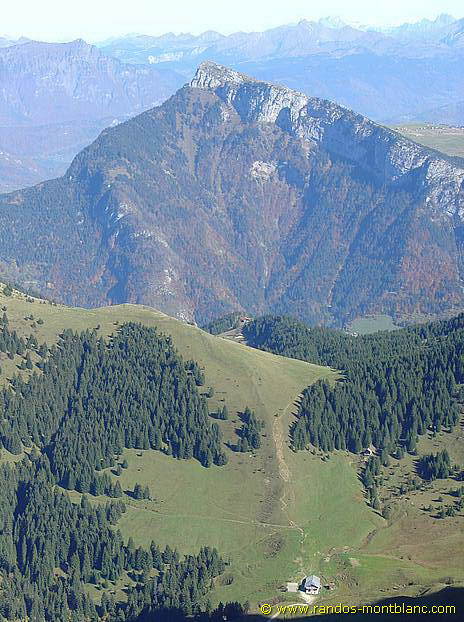 After a few switchbacks, the trail passes through the Trou de la Pierre and arrives at an intersection with a clear view of the Parmelan. 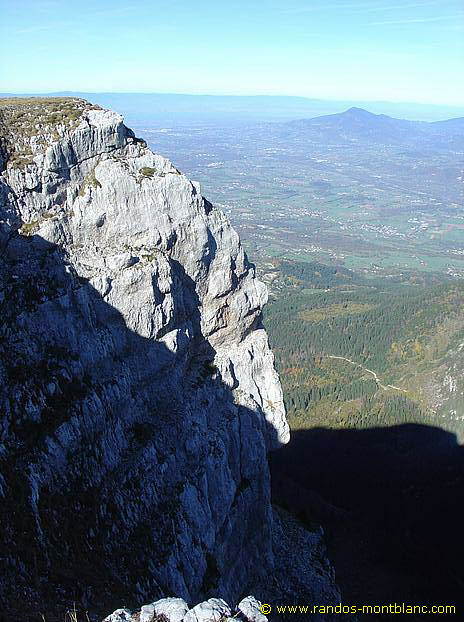 Then, turn left on the marked path towards Sous-Dine. 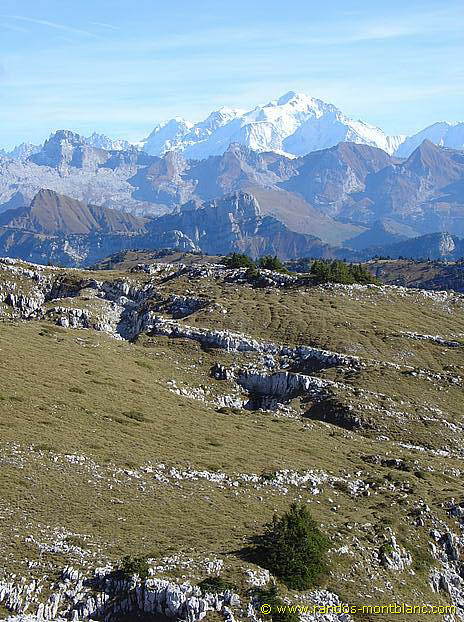 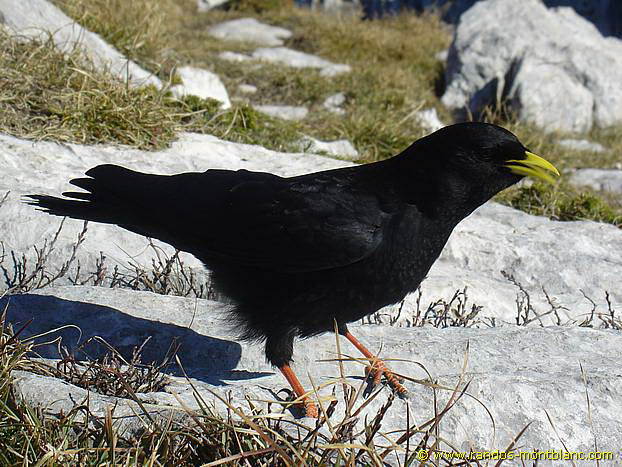 After a climb in the undergrowth, you arrive at a small pass with a magnificent view of the Mont Blanc. 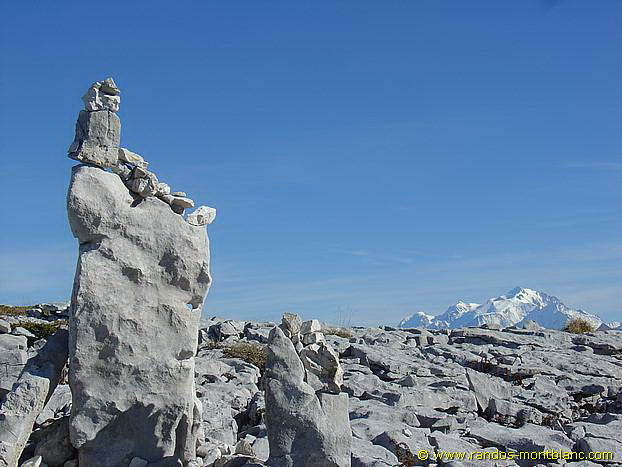 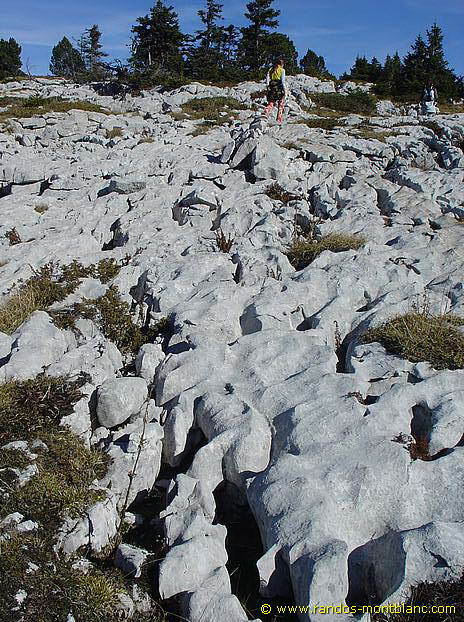 Always follow the track marked out by cairns crossing the lapiaz and reaching the summit after about thirty minutes. 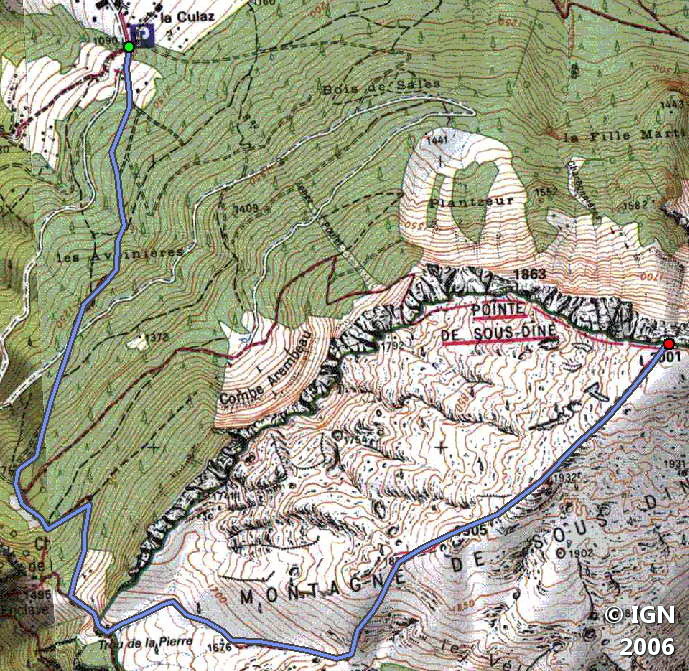 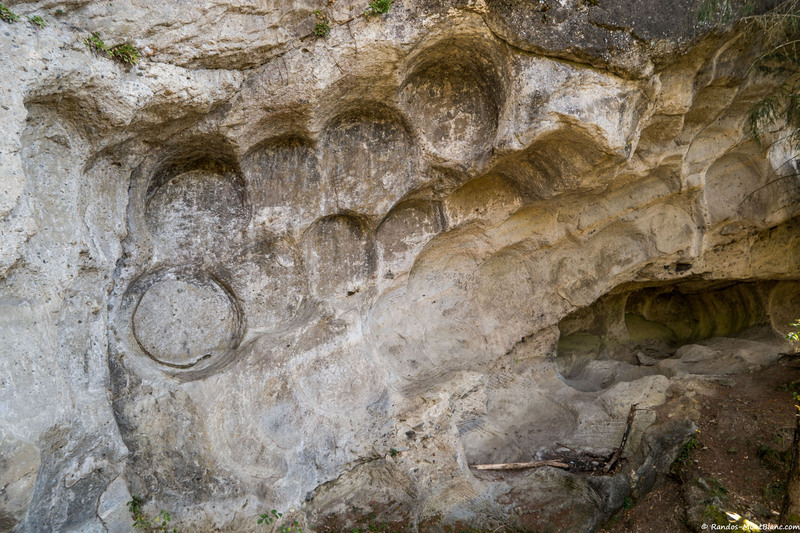 Take the same route as depicted above.